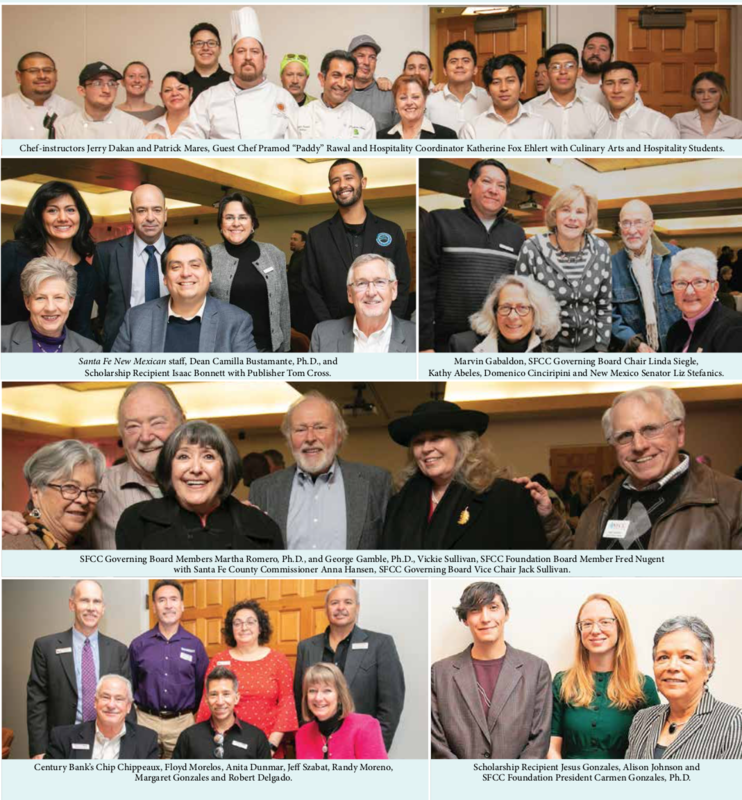 Philanthropy in Action: Student Success Stories, SFCC Foundation’s annual event, honors student scholarship recipients and their supporters. Each year, students meet the special donors who have invested in them through the Foundation’s scholarship fund. Culinary Arts and Hospitality and Tourism students cater the luncheon. To help support student success, contact Director of the Annual Fund Kelly Marquez Smith, 505-428-1175 or kelly.smith@sfcc.edu. See more photos and donate online at sfcc.edu/foundation.